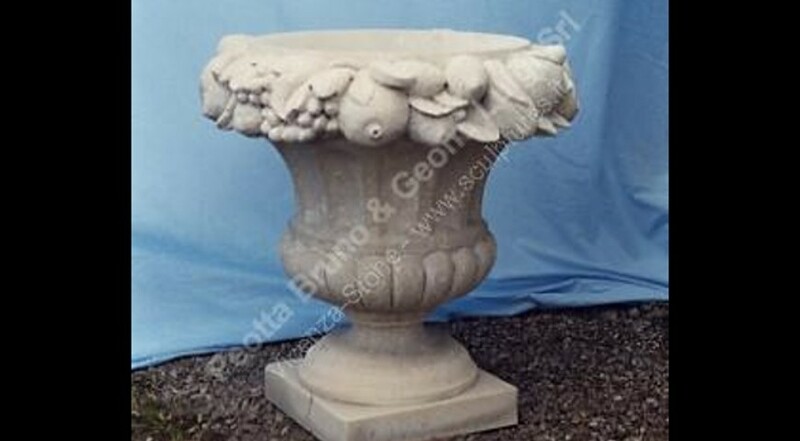 Garden Stone urn with particular fruits decorations all around the top, the bell shape with bugne detail, square base. An original design from our sculptors. Italian style vase, Florence origin.